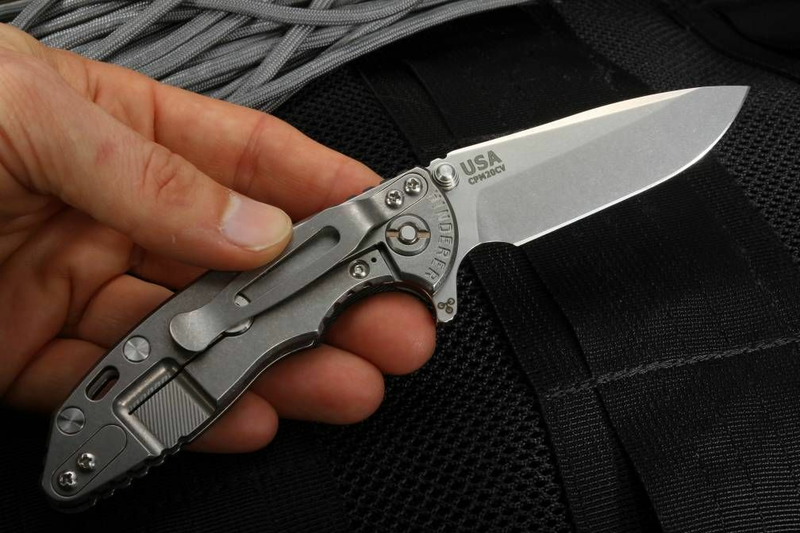 The latest generation of the XM-18 3" Tri-way pivot folding knife with the spearpoint blade shape. For a tough tactical knife that is made for heavy use, the Rick Hinderer XM-18 3" Black Spearpoint Tactical Folder available at KnifeArt can be operated equally effectively with the left or the right-hand thanks to dual thumb studs and the ingeniously designed flipper. 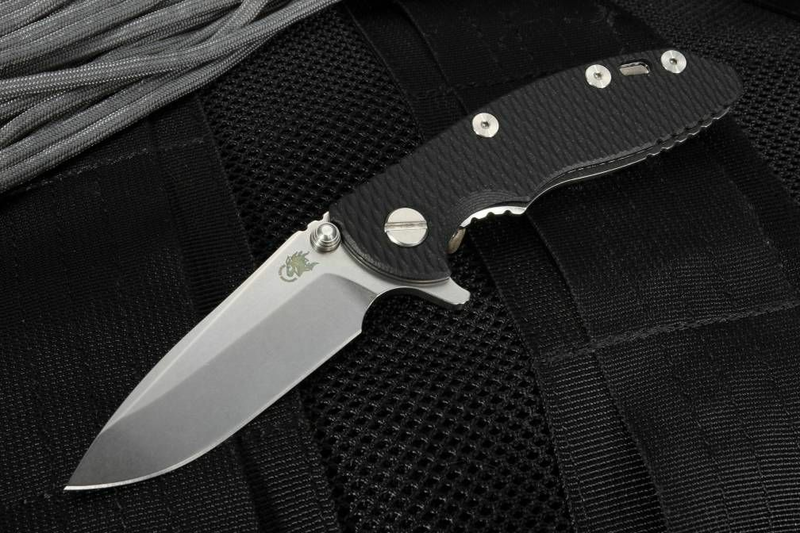 The XM-18 has a 3-inch blade made of CPM 20CV stainless steel with a stonewashed finish and a spearpoint grind whose spine drops gradually until the tip forms a point. 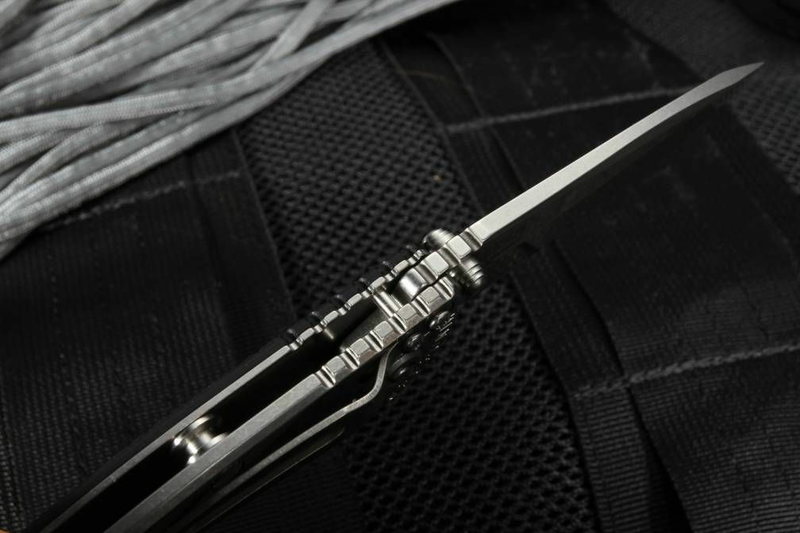 The handle, which includes a lanyard hole, is made of titanium and textured black G-10. 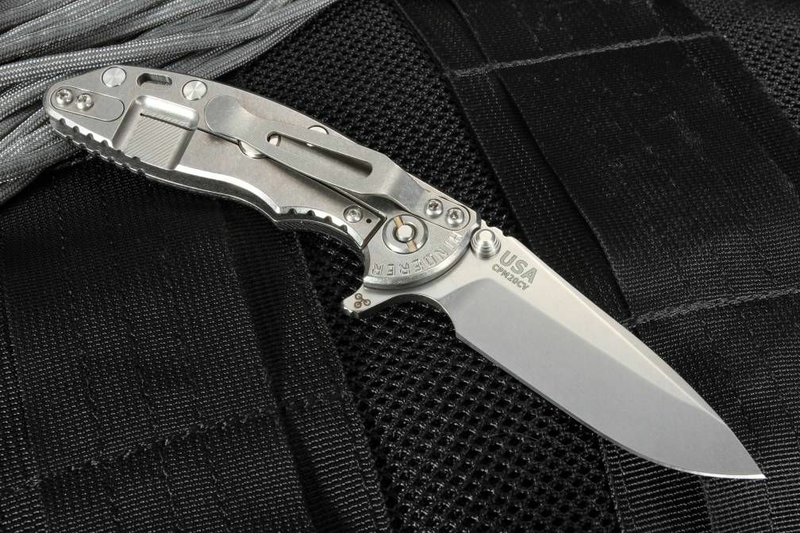 The titanium pocket clip has been designed with a mount so that it can be carried tip up or down. This 3.4-ounce tactical folding knife is available with free shipping from KnifeArt. Same-day shipping is available Monday through Friday.